Guy, Steve_overland, I have reached out to Ben for an estimate. https://www.facebook.com/294067497298132/posts/1997713183600213/ just some of his fine work Building a 110 expedition vehicle, pictures can be found: @steve_overland on Insta. SHARKY - '06 Discovery 3 HSE Auto, bonatti grey. SOLD. GEORGE - '99 Discovery 1 300Tdi Auto, willow green. Daily driver, travel companion, part of the family! SOLD. 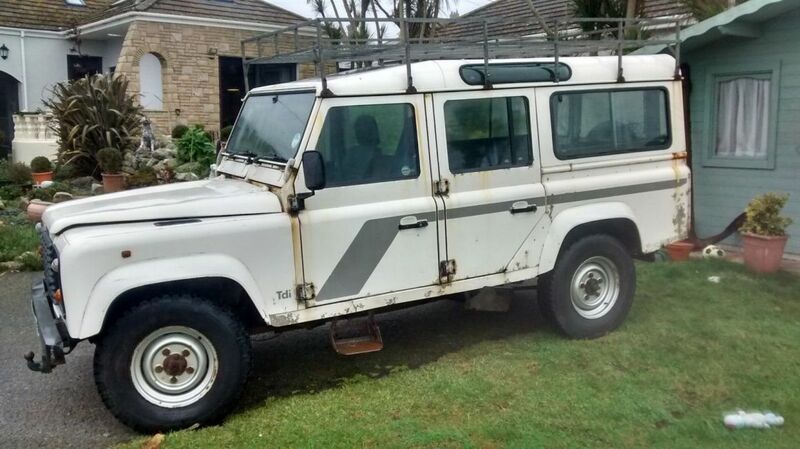 PINGU - '96 Defender 110 300Tdi station wagon. SOLD. Dream LR - 130 pop top station wagon camper. Steve_overland Thanks for the FB link, I didn't realise these were the guys piecing "Oxford" back together, dream of mine to do London-Singapore (and back). Unfortunately missed LRO last year, did you see Oxford? Would you know the current owners by any chance and if its on display? Great shots on your insta link btw, is your 110 a rebuild? Mine is an ongoing rebuild/build. I started to do the build myself but just work got in the way, so I sent it on a truck up to Ben. He fitted a new tub for me, galvanised the bulkhead, new (early TDI no Egr) loom, gearbox, transfer box rebuild and top end of the engine. Oh an and re spray in white. Ben has done a number of vehicles featured in LRO oxford being one and Nick Dimbleby’s TEW another, you can see his stuff on insta @blackpaw4x4 Building a 110 expedition vehicle, pictures can be found: @steve_overland on Insta. No mate. It was dark metallic green (Epsom I think) with white roof and white steel rims. Definitely Epson green on an N Reg.... Building a 110 expedition vehicle, pictures can be found: @steve_overland on Insta. 1996 Golf Blue 300Tdi 110 Pick up. Keeper. As for colour post a picture and I can probably tell you what it is- only the later ones ever seem to have it on the servo plate. May I know which White this may have been please - i.e. Alaska White (909) / Chawton White (603) / Ivory White (354) / Alpine white (456)? 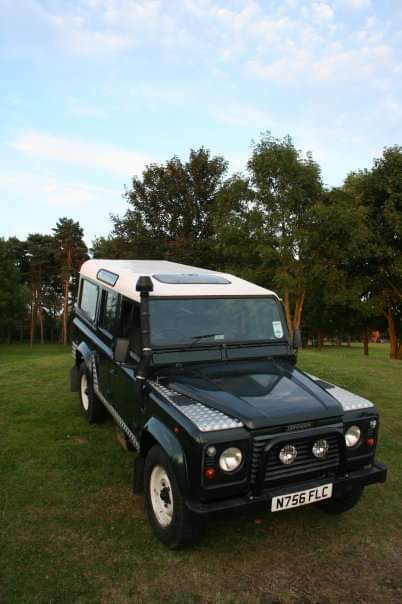 It is a 1997 P reg Defender 110 County Station Wagon 300TDi.